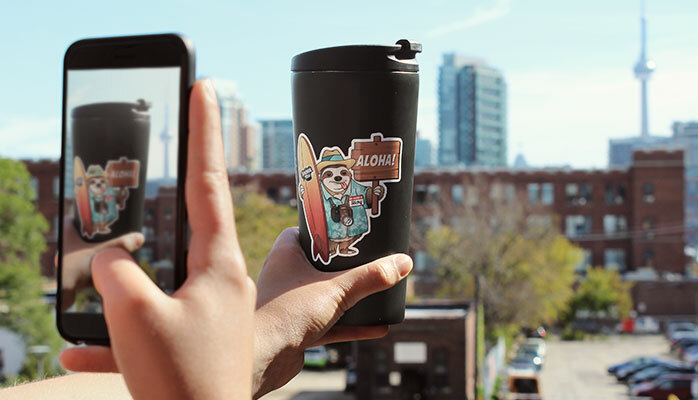 At StickerYou, we love seeing our fans from all over the world express themselves through stickers, and we want to help refuel this passion by sending a lucky customer to Hawaii! 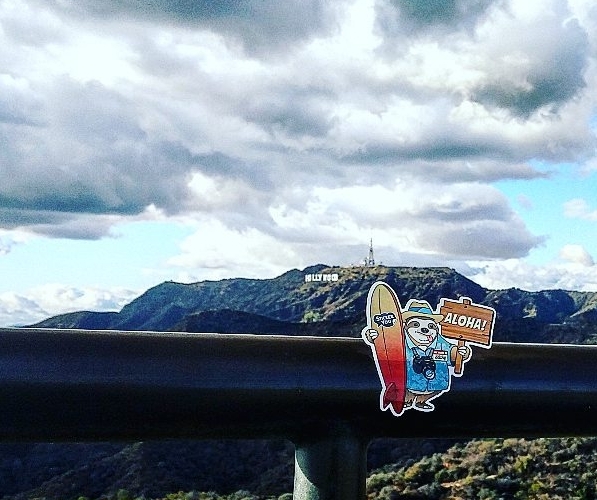 As you visit cool places at home or abroad, take Sticky along to show what amazing and inspiring destinations he can go. 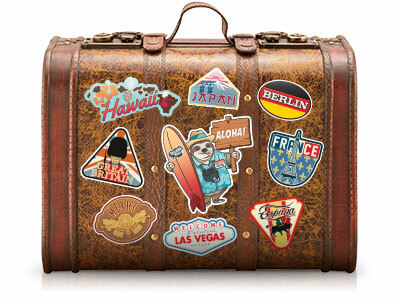 Help inspire the love of travel and the memories that travel stickers can bring everyone. Click to learn more about where Sticky came from and how this got started! This contest ended February 1st, 2016. Step 1: Take a photo of the “Sticky” the sloth sticker in an interesting location. 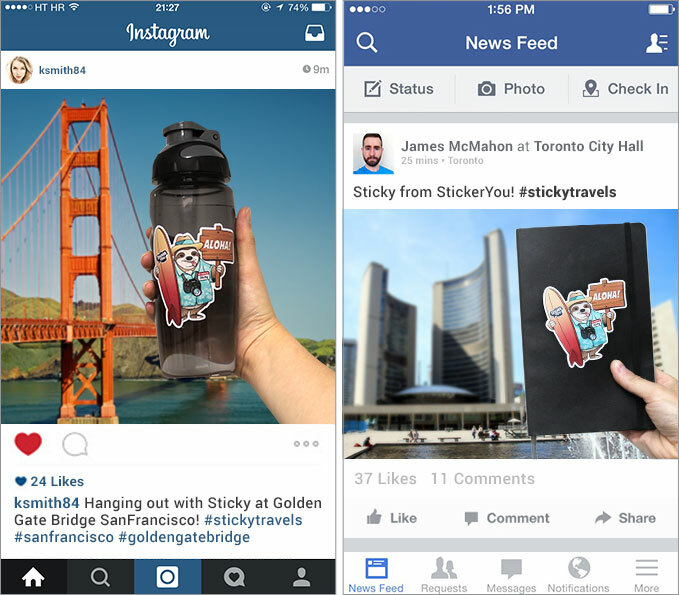 Step 2: Share the photo on your Facebook, Instagram or Twitter with the hashtag #stickytravels. Weekly winners of the most interesting places visited by “Sticky” will be selected and announced on our Facebook page and Twitter account. A grand prize winner* will will be announced February 2nd, 2016 and will receive two round trip tickets to Hawaii**. Eligibility: Contest open to permanent residents of Canada and the United States who must be 18 years or older as of September 14th 2015. Use of Information: When you post a picture of Sticky on social media with #stickytravels you give us permission to republish your photo of sticky and comment(s) in other places (i.e. on our facebook or twitter page and/or our blog and/or our website). We will not sell or share your comments with any other 3rd party. * Winner Selection: The potential winner will be selected on February 1st 2016 at random from among all the eligible weekly winners. Entrants agree to be bound by these Official Rules. Winner will be contacted by email with prize details. **Prizes: Maximum value of the prize is $2500 USD and StickerYou reserves the right to issue $2500 USD cash equivalent. Valid only at airports to and from Canada or US. If the winner declines the Airline Ticket prize a cash equivalent prize of $1300 USD will be delivered.